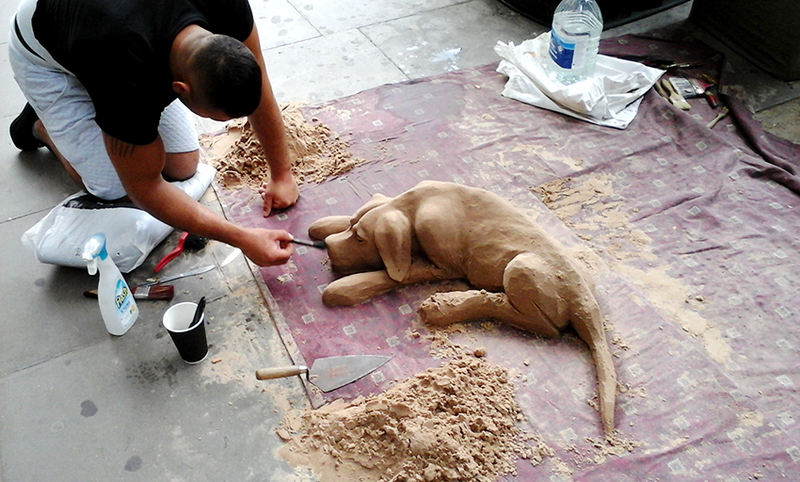 Walking past Holborn Station today I saw something that really stopped me in my tracks, a sand artist working on a sculpture of a relaxed hound. I had to ask the chap how long it took him (he said seven hours) and also took a photo of it as I was amazed at how good it was and I even parted with 50p! I’ve only looked on youtube tonight and noticed a few different sand sculptors working on a dog in a similar sort of pose. Please tell me it’s just co-incidental and sand artists love sculpting a hound lying like that. 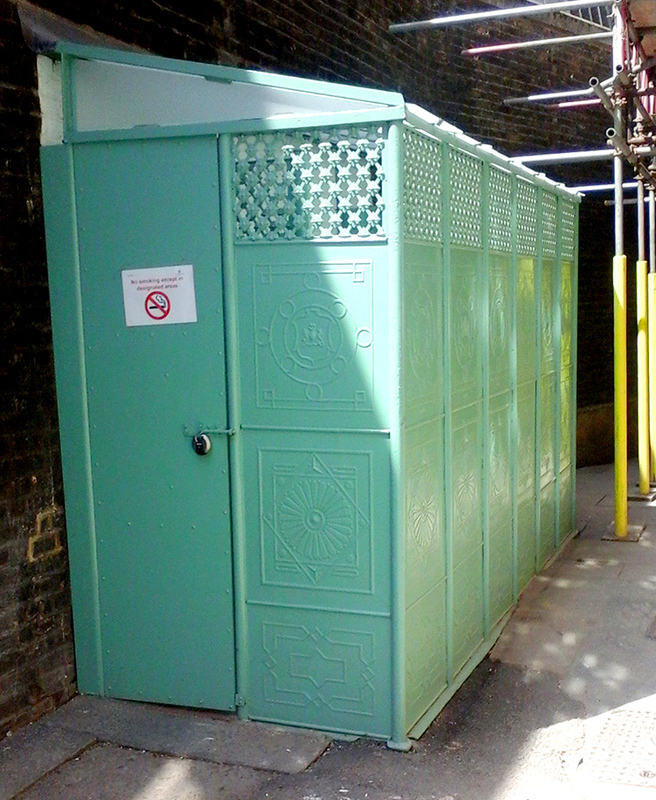 This Friday lunchtime I was trying to keep cool so I was walking around through shady alleyways and shops with air conditioning but it was while I was walking underneath some scaffolding I came across this very odd disused loo in Star Yard. It’s just off Chancery Lane and not far from Lincoln’s Inn Fields, hidden at the present moment under a load of building work. 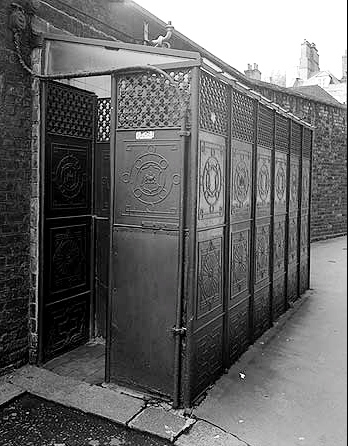 It’s made from cast iron and designed in a classic Parisian Pissoir style, how swish! So there’s a summer ‘happening’ going on at the Barbican at the moment. In collaboration with The Vinyl Factory, Doug Aitken’s project includesvinyl records being pressed, immersive yurt installations and a new interactive digital laser commission in the Curve. 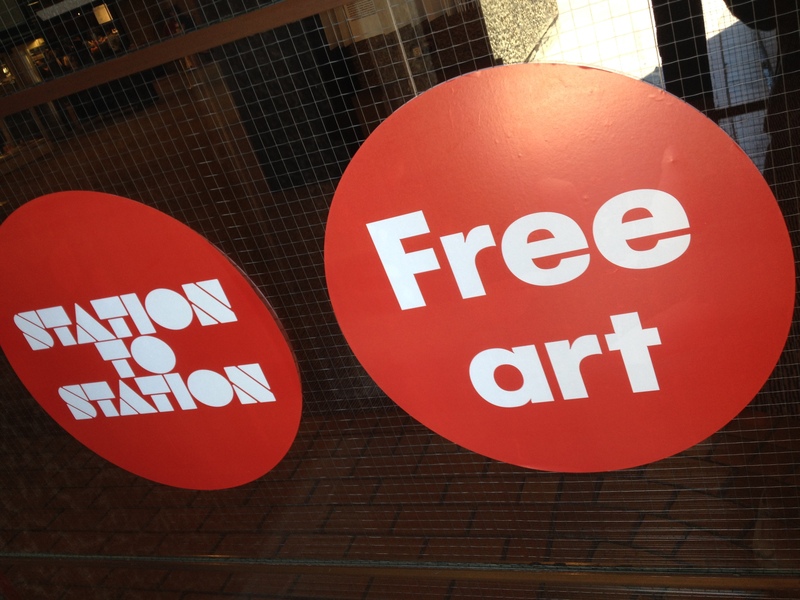 Plenty of free art stuff for all, including (down by the banks of the lake) a sound bath type installation. I declined to enter as it’s 30 degrees outside and I couldn’t handle being inside. 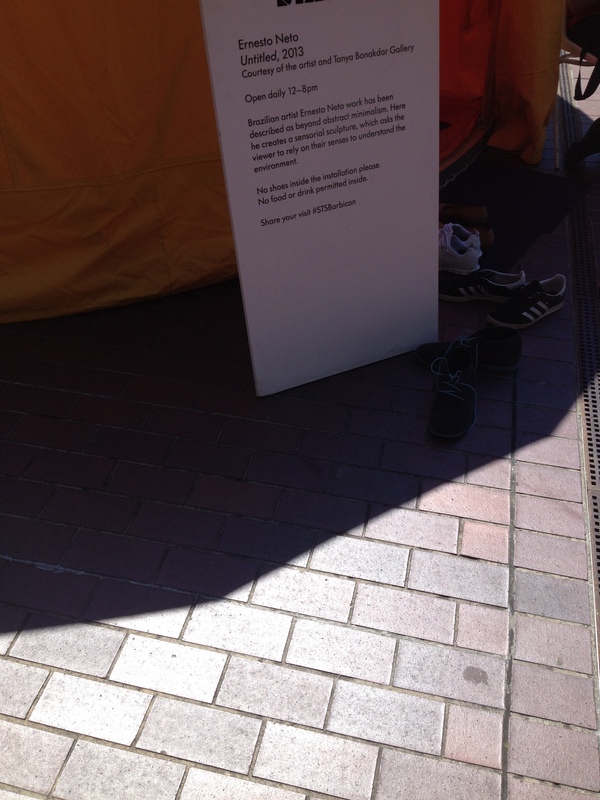 If you have a higher tolerance for heat than I, get down there – but don’t forget to take your shoes off first.